Even (especially?) fallen trees can give pleasure to those who know how to find it. A strangely deserted path. 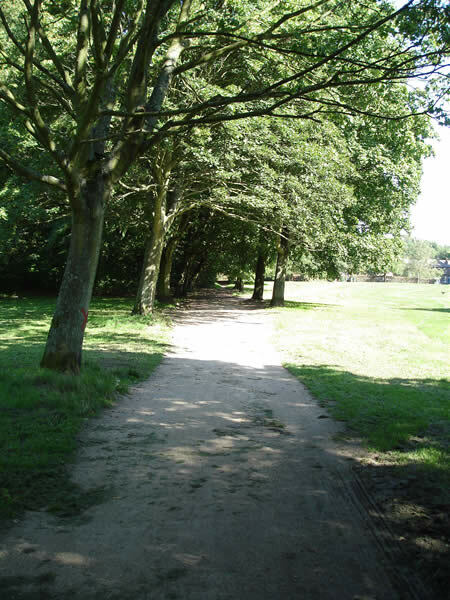 The Carrs is really a place for walkers, whom it attracts from far and wide. The only explanation for the absence of walkers here is that the photographer had frightened them off. 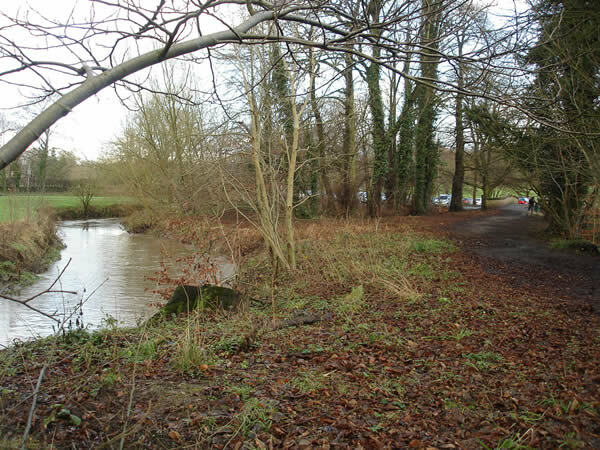 Another view of the southern end of the parkland with the parish hall car park, an ice cream van and the playground just visible in the background. 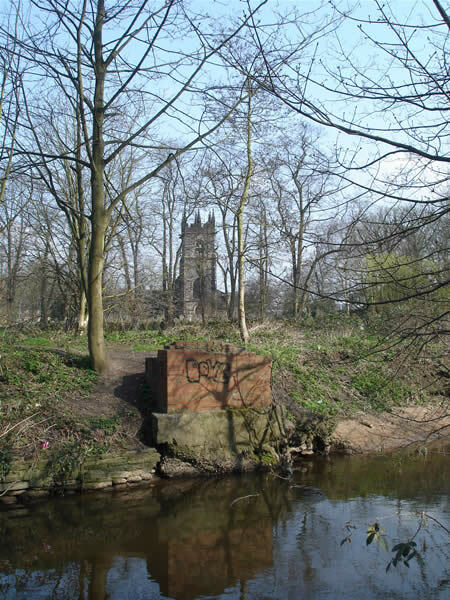 The Bollin marks the northern boundary of The Carrs. 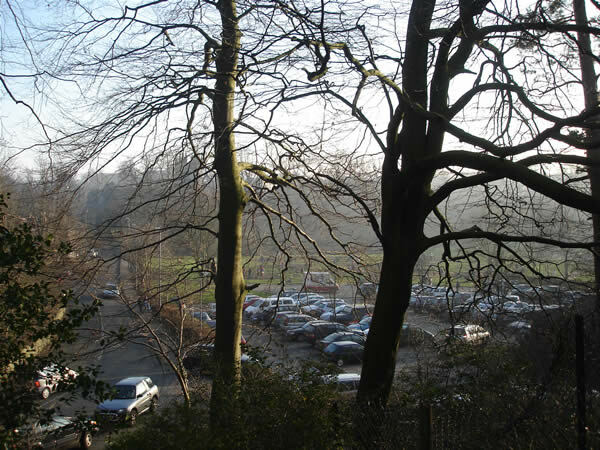 The green field to the left of the photo belongs to Styal Country Park. 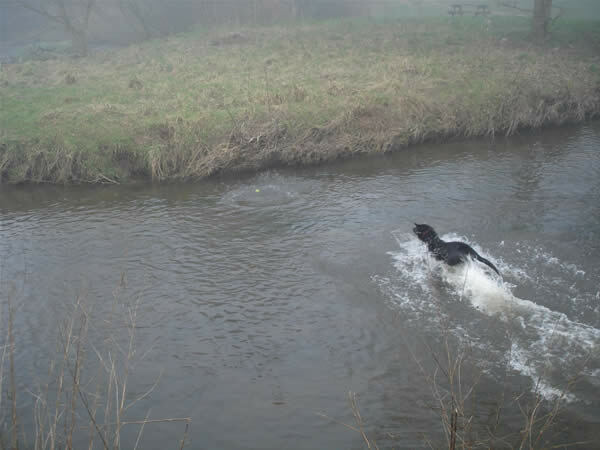 A public-spirited dog fetches an inappropriately placed ball out of the river. 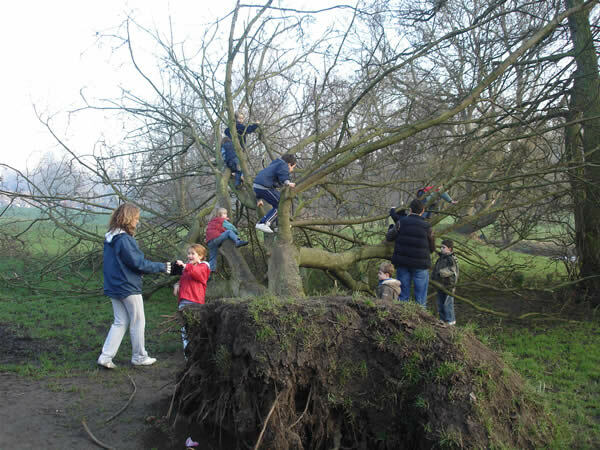 The Friends of the Carrs encourage all to contribute to its upkeep. Wilmslow's parish church of St Bartholemew's overlooks The Carrs from the south. The remains in the foreground are ... does anyone know?